With Tom Keels, Author of the Newly Published Sesqui! 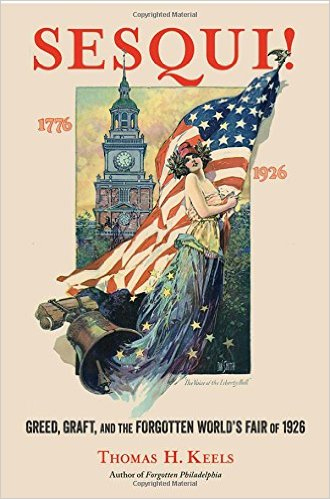 International Exposition envisioned in 1916 by John Wanamaker to celebrate the 150th anniversary of the Declaration of Independence. Historian Thomas Keels is a lecturer, tour guide, writer, and commentator specializing in Philadelphia history, architecture, and cemeteries. Tom has spoken to the American Institute of Architects, the Friends of Independence National Historical Park, the Harvard Club of Philadelphia, and the Preservation Alliance of Greater Philadelphia. His other books include Forgotten Philadelphia: Lost Architecture of the Quaker City (Temple), Philadelphia Graveyards and Cemeteries and Philadelphia's Golden Age of Retail. We will meet in the Philadelphia Institute Branch of the Philadelphia Free Library located at 1905 Locust Street. Please email info@pennsvillage.org or call 215 925 7333 to register. The Library, we regret, is not handicapped accessible. We are having difficulty finding a handicapped accessible and/or evening venue for larger groups (more than 25) of attendees. Ideas welcome!